Description: Salmon and Bear Moon signed Tim Alfred 25” dia – red cedar. This is carving from the old school, the way the old timers did carving then. The carving is done mostly by adze and the surface is knife finished as opposed to being sanded. 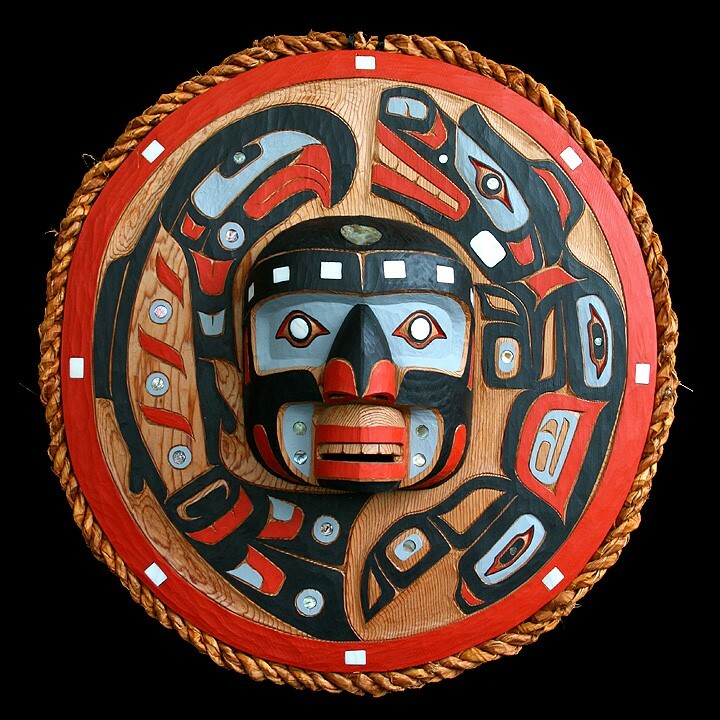 The face and rim are on one piece of solid cedar. The mask is adorned with abalone, cedar bark, paint, and mother of pearl.